This has got to be one of the most tedious costumes I've made! 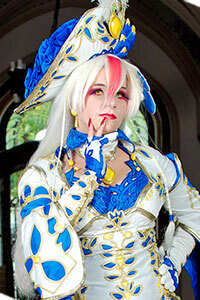 All the gold sponging, pleating, wig crimping, and filigree carving was very time consuming! For the gold I used foam sheets and primed it with several layers of Flexbond before painting. 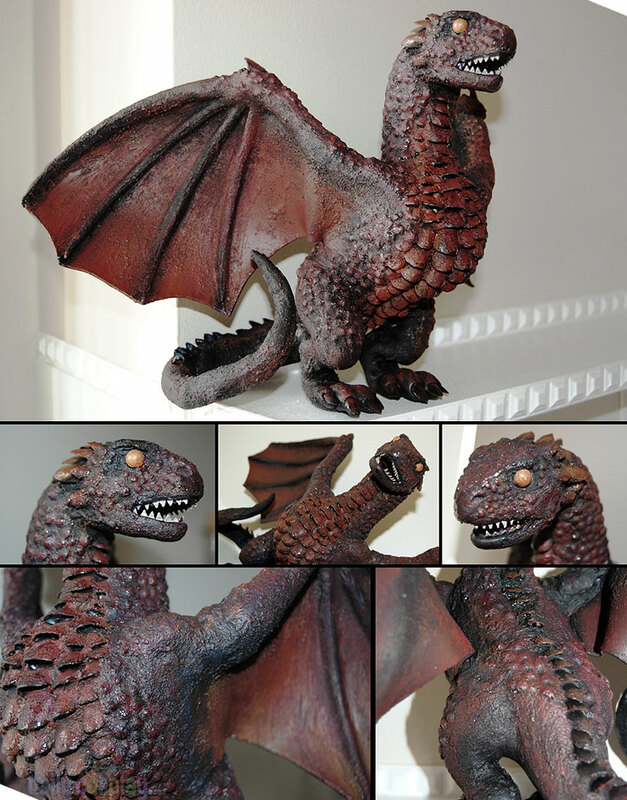 Drogon is also handmade out of foam, model magic, stick-on pearls, fake nails and stucco. He took about 10 hours in total to put together. I built his base out of a foam block and air-dry modeling foam. Some of his facial features were created with strategically places globs of hot glue. I then covered him with tiny stick-on pearls one by one to create the bumpy skin look, and used fake fingernails to create the scales on his stomach and head as well as his claws. Wings are heated and curved sheets of generic fun foam with a wire base. Tail and legs are fortified underneath the foam with tinfoil. Once all these little bits were in place, I covered him entirely in Stucco gel to fill in gaps and created the grainy texture. He was then painted with a black base coat and finished with a dry-brush effect to add colour and shading. If you're interested in seeing the progress of him being built, you can see some WIP pictures on my facebook page. I totally love him, and in time will make the other two dragons to go with him. 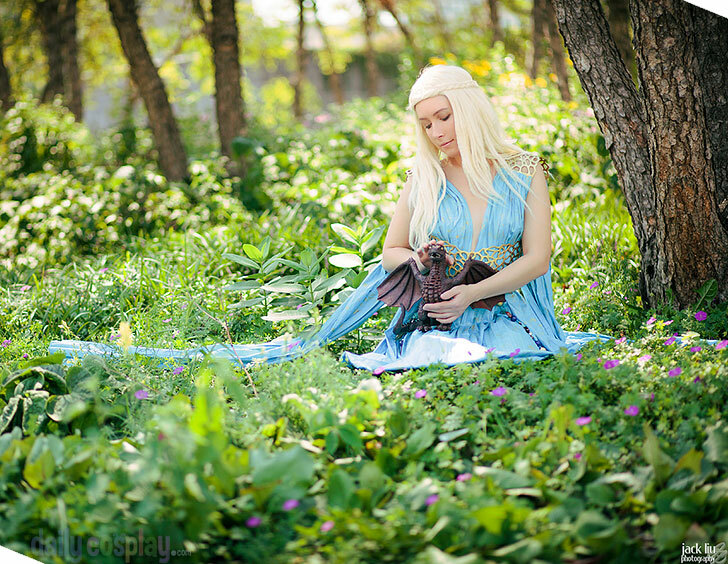 Here's an all-angle close up look at my Drogon for my Daenerys cosplay. I'm so proud of him! I used to draw dragons all the time in high school and college, so it worked out really well going 3D for the first time.